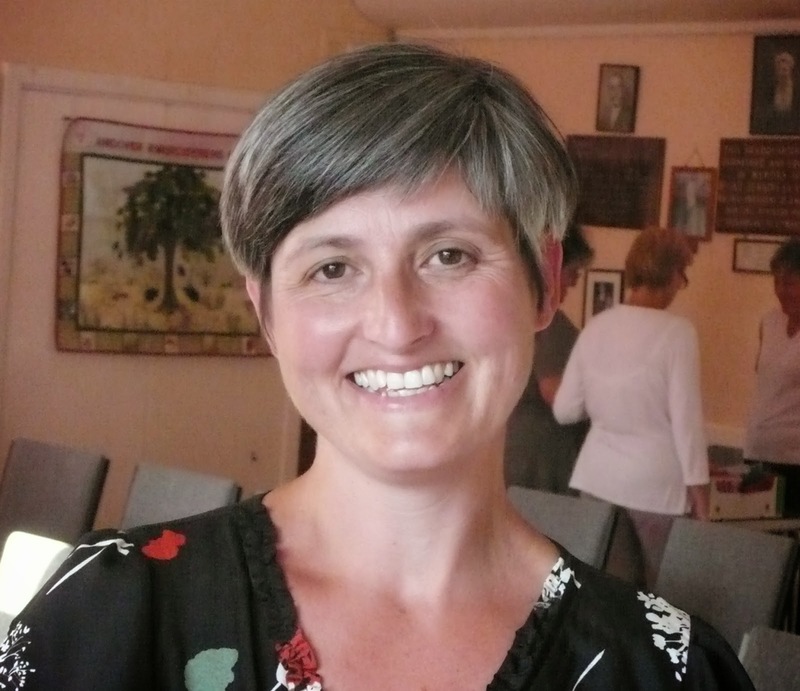 Rebecca was due to talk to us last year but because of adverse weather conditions the evening had to be cancelled. However we kept in contact and were delighted that she was able to speak to us on Monday night (21 July 2014). She started by giving us a brief history of the Royal School of Needlework and then went on to tell us about her time there. Rebecca graduated in 2001, after 3 years as an apprentice. 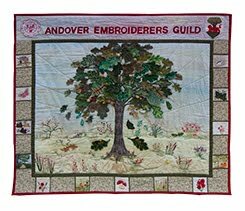 During her first year Rebecca learned how to set up frames, transfer designs and cast on. 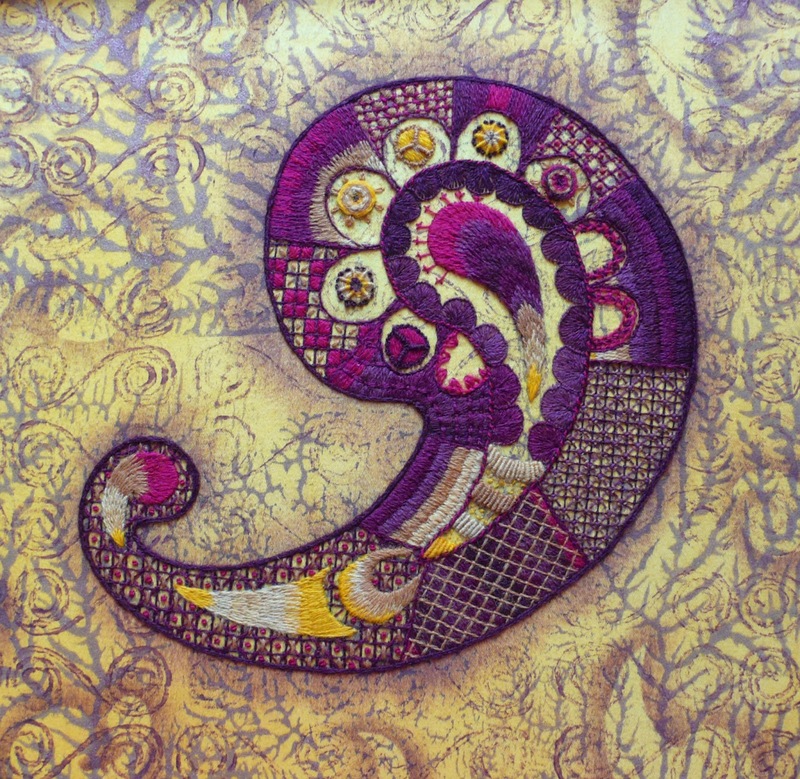 Some of the embroidery techniques she covered included crewelwork, canvaswork, blackwork, stumpwork, cushions and tassels. Her second year involved churchwork. 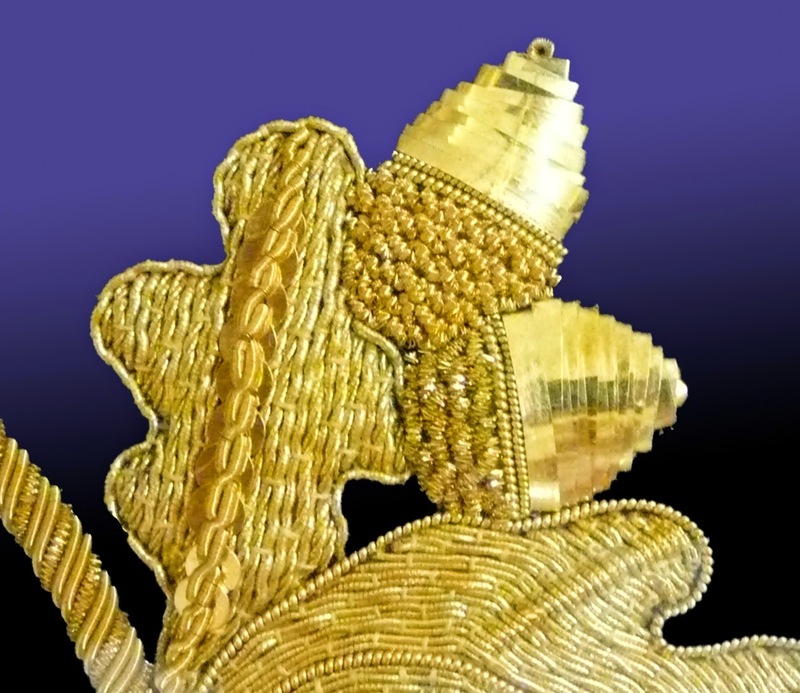 This included coronation goldwork and creative metal threadwork. We all gasped when Rebecca showed us her 'Both Sides Alike' sample. Other topics covered included canvas shading, box construction, applique and large tassels. 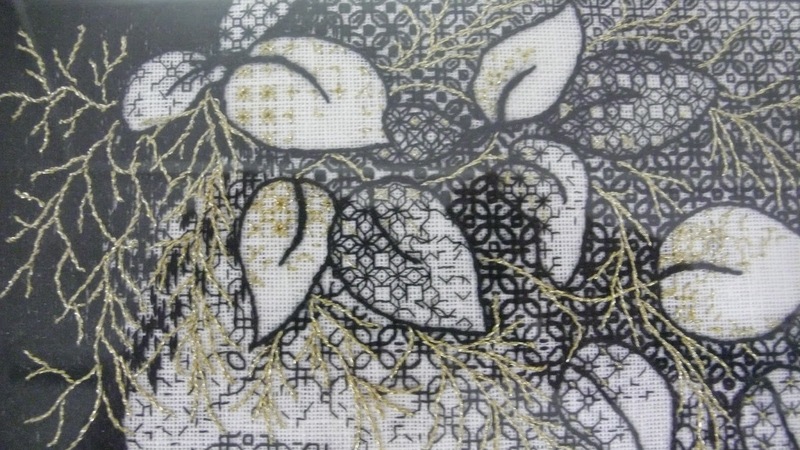 Rebecca then talked about the embroidery techniques of goldwork, blackwork and whitework. She took us through the processes involved in designing, transferring and creating each piece. 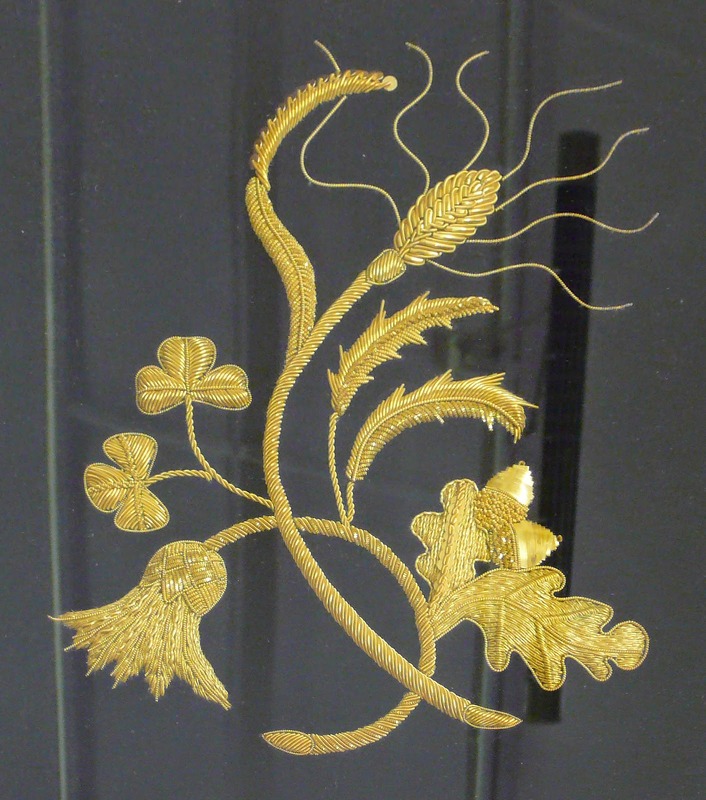 The goldwork sample was created on black velvet. 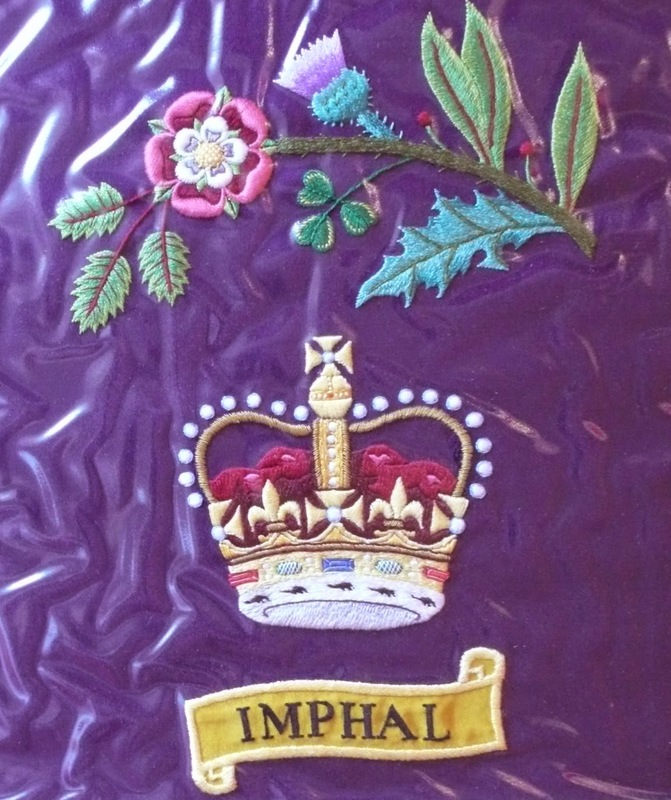 As a very accomplished embroiderer, Rebecca is now on the Coronation Goldwork Register, which means she may be asked to help in the creation of future coronation robes. 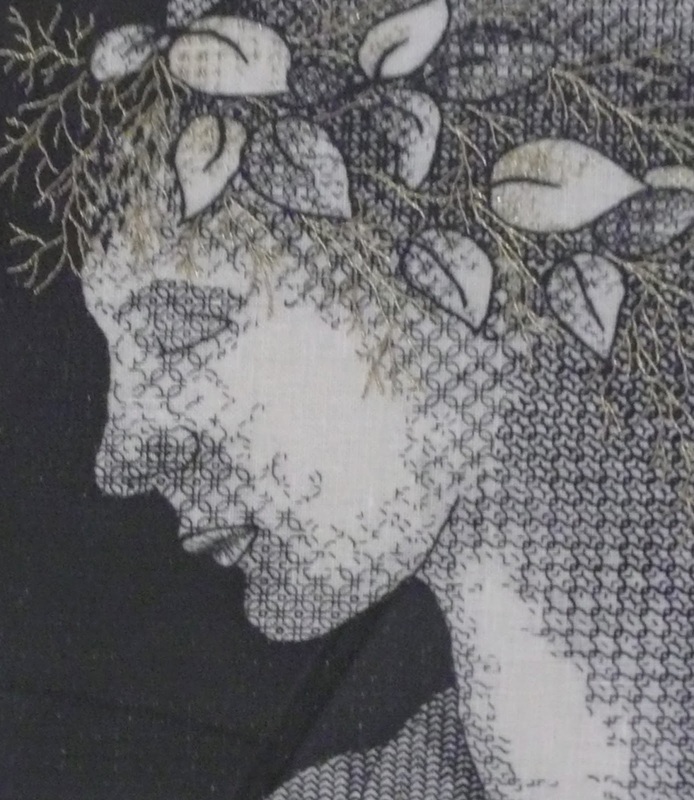 The Girl's Head sample of blackwork has been worked on linen. Rebecca explained how she managed to create the effects of light and shade. 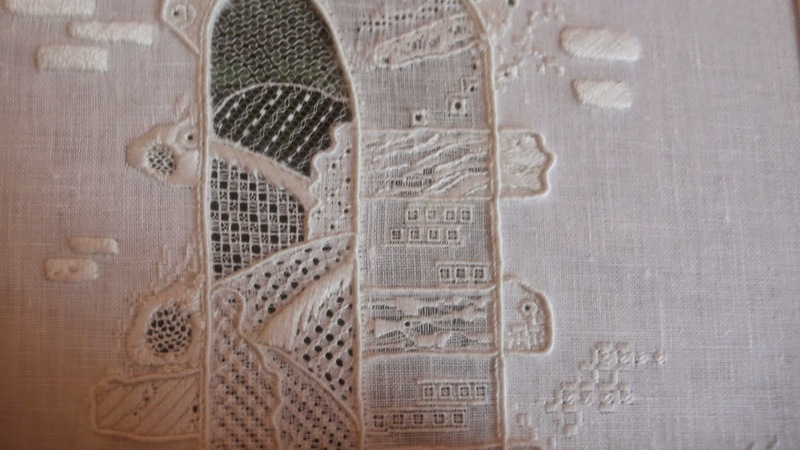 Working 'white on white' presents its own difficulties but the sample Rebecca showed us was beautifully executed on fine linen, incorporating pulled and drawn thread into the design. With all the techniques outlined above, Rebecca kindly shared her experiences and gave us some very useful tips on overcoming difficulties. She then went on to tell us about her conservation work including working on the Royal Collection and that she was lucky enough to be selected to work on the Duchess of Cambridge's wedding dress. Many thanks, Rebecca, for a very enjoyable and inspiring evening, your work was delightful to look at and it was wonderful to see and hold it up close.